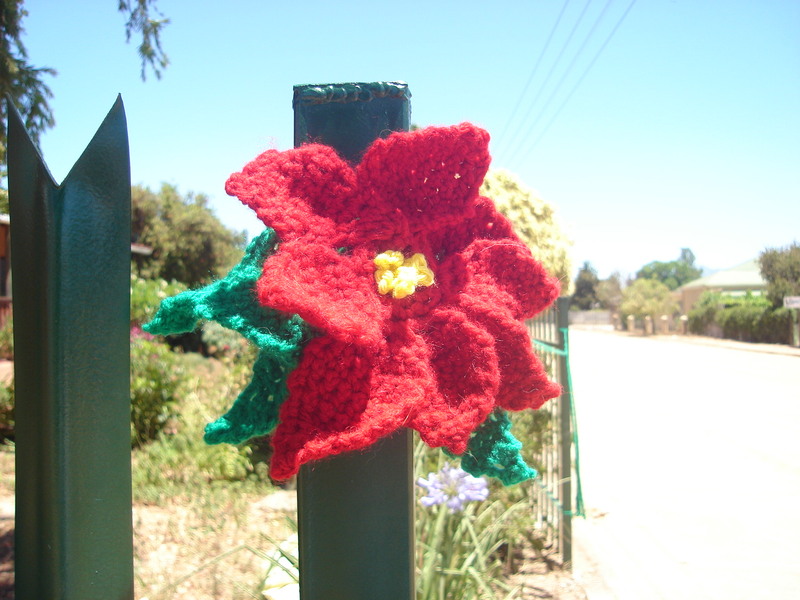 It’s taking about as long to crochet this fence as it did for the other bits to go up, but never mind. 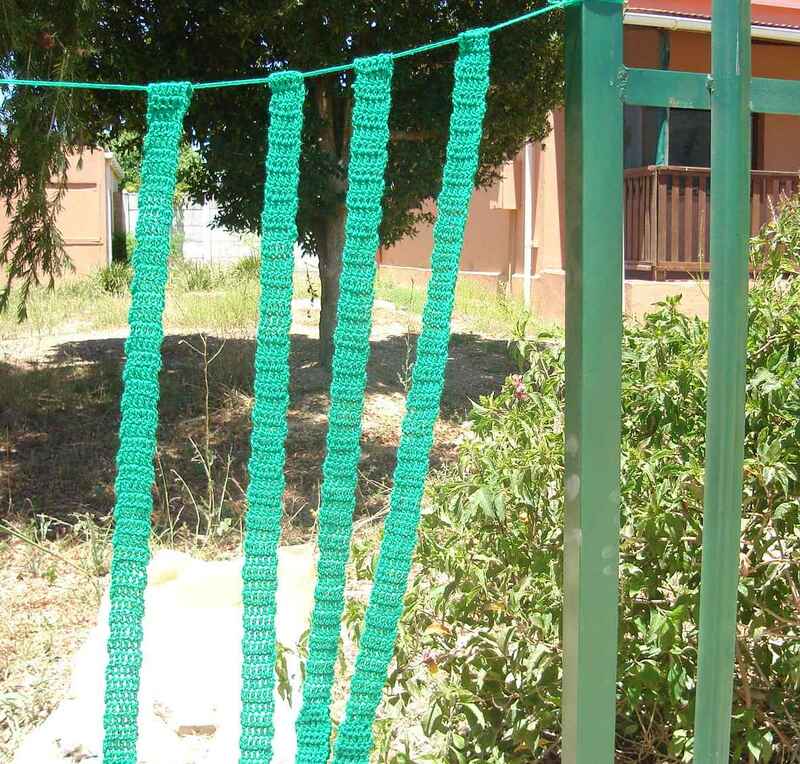 Rome wasn’t crocheted in a day. The local people are starting to see the funny side, I’m getting loffs, y’all. 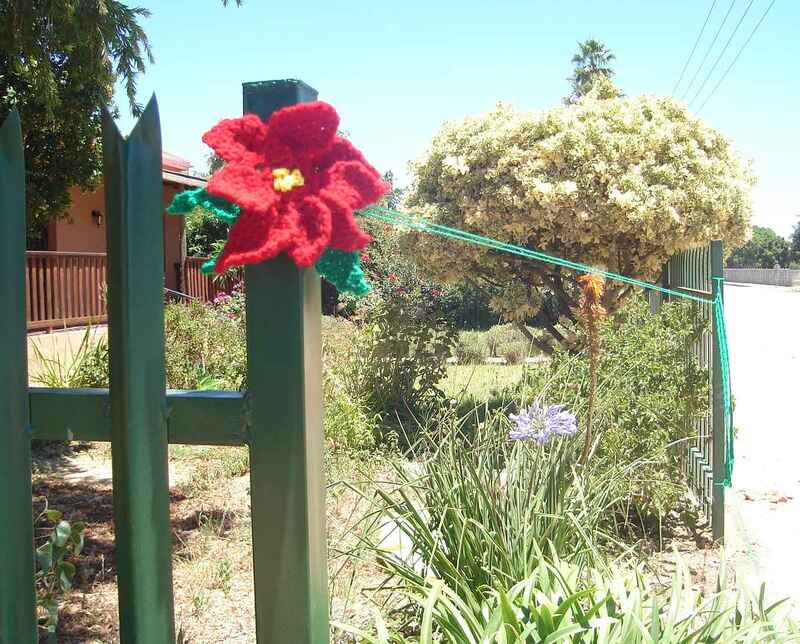 This entry was posted in Country Living and tagged crochet, Crochet a safety barrier, crochet flower, fencing, metal fence, palisade fencing, Riviersonderend, street art, yarnbomb. Bookmark the permalink.